Light but strong plastic back fitted with a tough traditionally designed woven strap and synthetic filling. Size: 175 x 75mm. 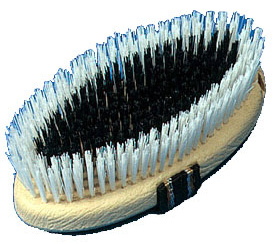 There are currently no questions for Vale Brothers Stablemates Body Brush - be the first to ask one!